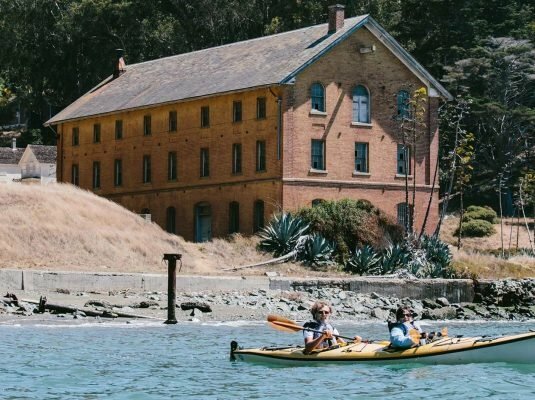 Experience the thrill of an open-water crossing from Sausalito to Angel Island. 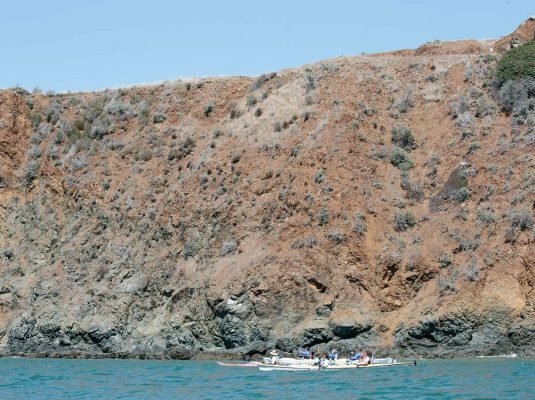 We paddle traditional double kayaks from our Bay Model location across Raccoon Strait, getting a few hours round trip of open-water paddling in. 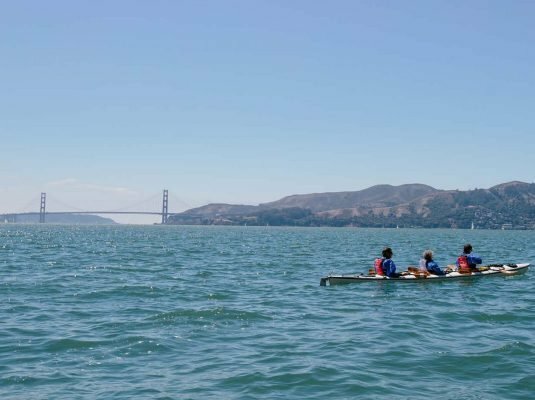 You'll have time to enjoy the sights on San Francisco Bay, with the city and Golden Gate Bridge in view, and local wildlife. 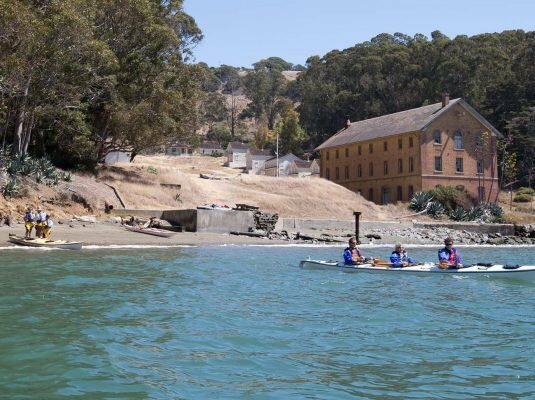 Once on Angel Island, there's time to relax on the beach, take a short hike, and eat your lunch before triumphantly returning to Sea Trek in the afternoon. 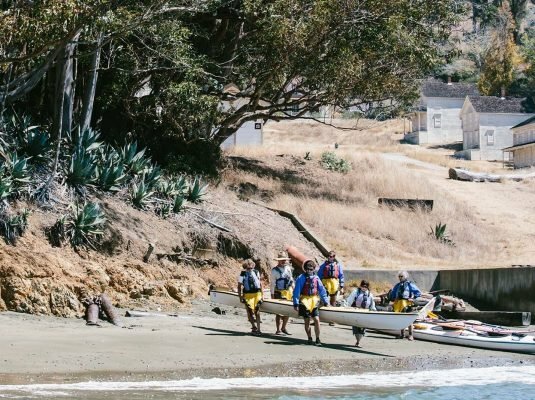 You don’t need to be an experienced kayaker for this trip, but you should be physically active. We leave Sea Trek at 9 am and return around 3 pm. The trip is offered once a month. Bring your own lunch. Reserve a spot today through this website, or by calling (415) 332-8494.